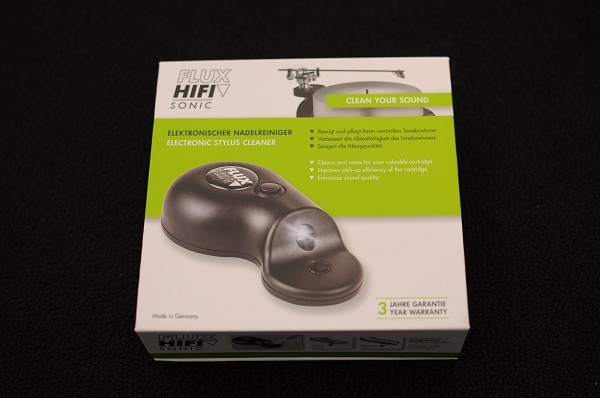 Brand-New Ultrasonic Technology Enhances Analog Performance: Flux HiFi Sonic Electronic Stylus Cleaner Makes Your LPs Sound Better and Greatly Extends the Life of Your Cartridge. 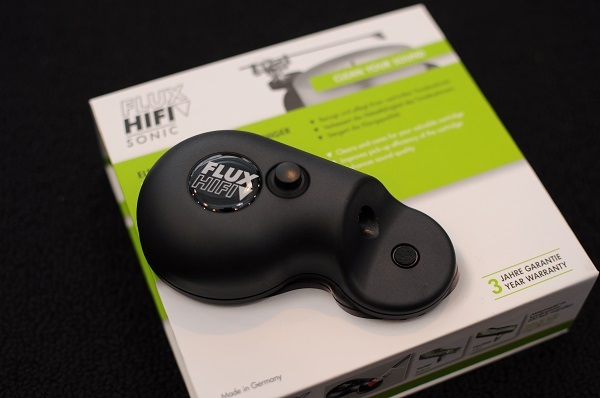 The Flux HiFi Sonic Electronic Stylus Cleaner gently, safely and quickly removes hardened dirt from your cartridge's stylus. Specially targeted ultra-sonic vibration ensures residue-free cleaning in only 15 seconds. Just carefully place a drop of the included fluid on the cleaner pad, and gently lay your stylus onto the middle. The process is easy and works with any turntable and cartridge. 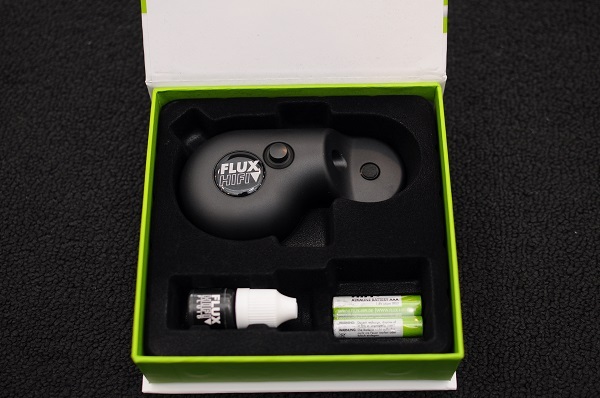 Flux can be used as often as you desire and will keep your stylus looking brand-new, even under a microscope! The stylus is the primary component in vinyl playback. If the needle is dirty, the diamond - no matter how ground and polished it is - cannot perform to its optimum ability and track the grooves of your LPs. Even supposedly clean records are covered with dust that adheres to the needle during the scanning process. If you clean the needle with a regular, dry brush, fibers are removed but crust remains. An aggressive liquid cleaner produces a reasonably clean diamond surface, yet these cleaners attack not only the adhesive of the diamond but may also damage sensitive rubber parts of the suspension of the needle carrier. That’s why you need Flux. Flux’s operating principle is similar to an ultrasonic cleaner used in dental technology or an ultrasonic bath for eyeglasses. Its circuitry and mechanics are designed so that a three-dimensional vibration acts on the needle, removing all dirt particles. The frequency is exactly tuned to avoid any damage to the cartridge’s suspension system. A supplied fluid transmits vibrations from the device to the needle and performs an additional, gentle cleansing effect. After its application, it evaporates without leaving a residue. Flux-Fluid is applied on a specially designed pad made of the finest PE fibers. Due to their number and the resulting density, these fibers produce a capillary effect similar to the effect of a liquid. Hear a World of Difference Cleaning takes just 15 seconds and results in a world of differences. The scanning capability of the pickup system is improved. The service life of the needle increases due to less abrasion. Scanning noise becomes significantly reduced. Distortions and disturbing interference disappear. Playback is more dynamic and enjoyable. Unpleasant peaks vanish, large modulations are reproduced without distortion, and the frequency range is tremendously extended. Location: Jaya One, Jalan university, PJ.